Sunday June 15 is indeed Father's Day, and once again we're suggesting you 'Buy Dad A Real Book'. Get him to switch off the gadgets, drop off the grid and rediscover the joy of reading. So today we unveil our 2014 Father's Day Collection, the fourth year we've done this, and when there are so many great books being published, it’s a hideous job trying to whittle it down to just a dozen books. Who said bookselling was easy, eh? Some of our favourite titles of the year already – such as ‘The Martian’ and Mick Herron’s ‘Dead Lions’ haven’t made the list below, because I think we’ve already pressed these books into everyone’s hands already – but here is our collection for 2014. And what better book to start with than one that has a (sort-of) father-son relationship at its heart? 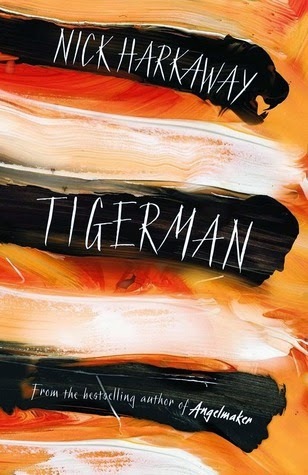 'Tigerman' by Nick Harkaway is the story of Lester Ferris, fragile army sergeant put in charge of winding down British interests in the colonial territory of Mancreu. The island is under UN control, because of a menacing industrial toxic legacy deemed to pose a global threat – in short, it’s scheduled for termination, an extreme form of ‘deep cleaning’ which means evacuation - and abandonment. Lester develops a strong bond with a mysterious street-kid, steeped in Internet jargon and comic-book philosophy, and – in the absence of any identifiable family – he fosters dreams of adoption, of becoming the father the boy doesn’t seem to have. But when dark forces threaten the boy, and the island threatens to go postal in the face of its imminent demise, Lester must - reluctantly, inevitably - take an heroic path, and the way he does this is unexpected, brilliantly realised and utterly thrilling. Exploring the machinations of power, the possibilities (good and ill) of technology and the real responsibilities and challenges of parenthood - this is intellectual entertainment of the highest order. A genuine colossus next, and Stephen King’s long-time-coming sequel to The Shining. 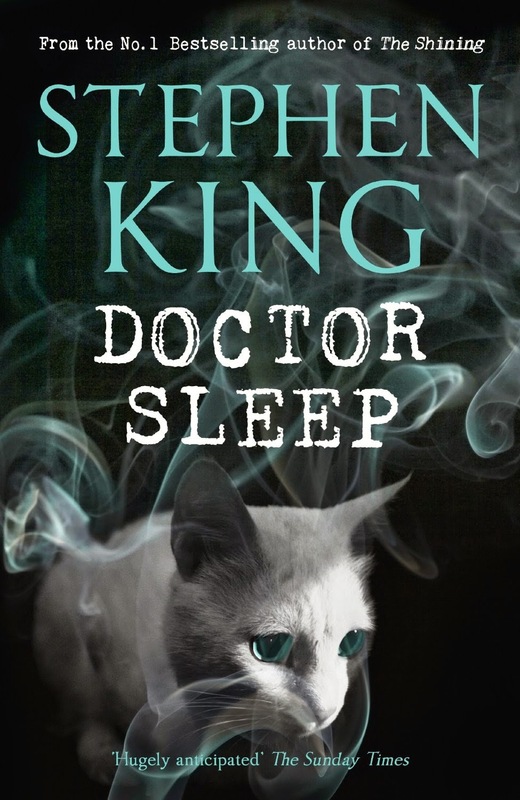 In ‘Dr Sleep’ (just out in paperback) Danny Torrance has grown up to be a drunk, using his addiction to alcohol to block his supernatural abilities. But then his life starts to change again when he is contacted by Abra, a young girl who has a very strong "shining". Enter the True Knot, a travelling band of vampire-like people who prolong their lives by feeding on "steam", a kind of life essence possessed by those who have the shining. This is a fitting sequel to King’s original, with the master keeping you enthralled right to the very end. Julia’s verdict on this: ‘Unputdownable’. If word-play is Dad’s thing, then we suggest Michael Rosen’s ‘Alphabetical’ – a sort of social history of the alphabet. Ever wondered about letters and the alphabet? Where they came from, where we came up with the spellings and 'rules'? (Q must always be seen next to U?). Why does ‘X’ mark the spot when it can be replaced by Z? Everything and anything about letters can be found in this clever and funny book, written with the humour and word-play of one of our most talented authors and poets. A perfect gift for a wordsmith. 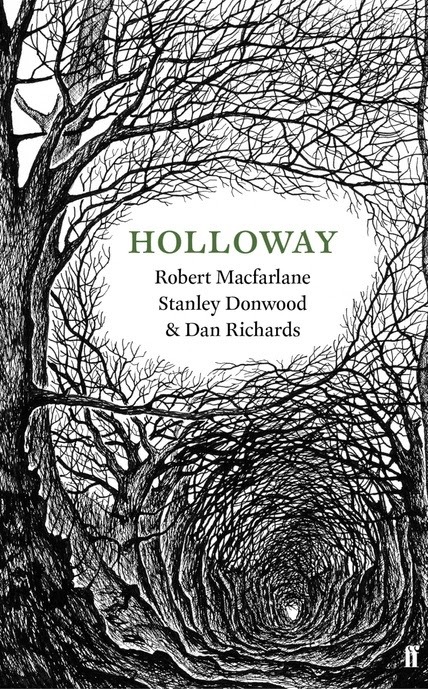 You could argue we are living in a golden age of nature writing at the moment, and for the second year running we include a gem of a book from Robert Macfarlane - 'Holloway'. In July 2005, Macfarlane and the late Roger Deakin walked the landscape of Southern Dorset, the ‘Hollow Ways’ where centuries of horses hooves, rain, footfall and wheel rubbing have carved out these sunken paths. Macfarlane revisits his walk with artist Stanley Donwood and writer Dan Richards, and this book – with its haunting sketches – is both beautiful and poignant as Macfarlane revisits the earlier journey with his good friend. In 1664, horticulturalist and diarist John Evelyn published 'Sylva', the first comprehensive study of British trees, and the first book ever published by the Royal Society, four years after the granting of its royal charter. 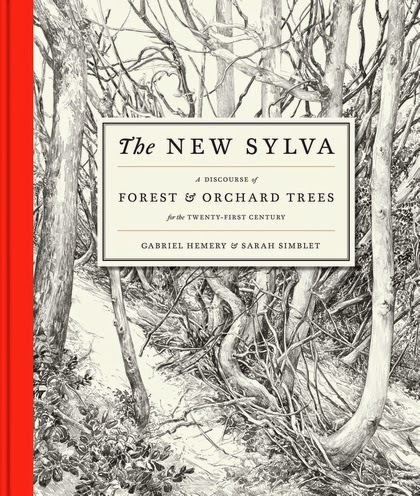 To celebrate its 'Sesquarcentennial' (that's a 350th anniversary in case you were wondering) Dr. Gabriel Hemery (forest scientist and author) and Sarah Simblet (tutor at The Ruskin School of Art and a lecturer at the National Gallery) have created 'The New Sylva', a sumptuously illustrated collection which seeks to explain and describe our most important trees, and what they really mean to us culturally, environmentally and economically. 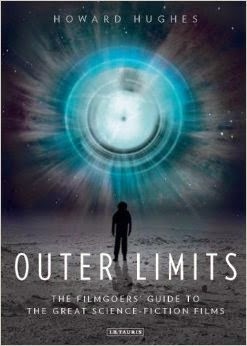 If Dad likes the odd film (particularly a science fiction film) then Imogen recommends ‘Outer Limits’ by Howard Hughes. From ‘Star Trek’ To ‘Forbidden Planet’, ‘The Matrix’ to ‘Moon’, this is the ultimate film guide for any science-fiction fan. Of course, if we did fend off those aliens, and had to rebuild society from scratch, how might we do it? Start with securing food, or finding weapons? Forging metals or building houses? 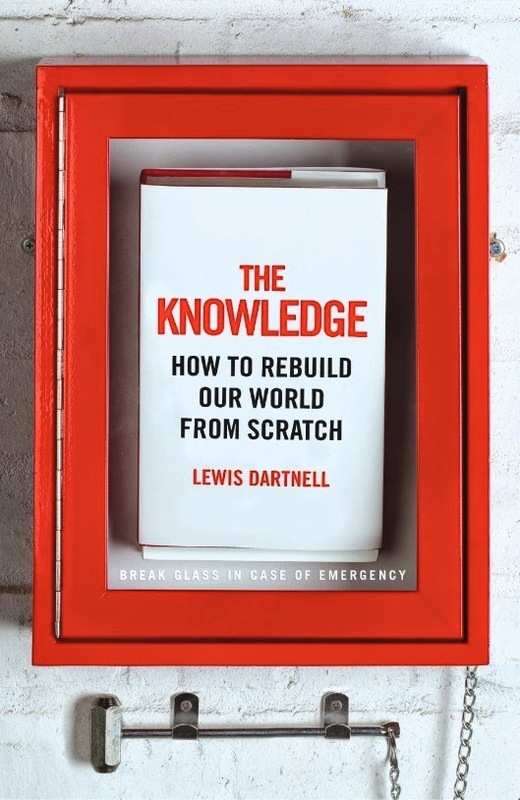 In ‘The Knowledge’, Lewis Dartnell gets back-to-basics in this readable, enjoyable well thought-through look at how we might rebuild civilization (in a world where plenty of people start freaking out if their Internet fails). Described by Nature as the “Ultimate do-it-yourself guide to rebooting human civilization", Dad will be in a position to lead in the event of an asteroid strike, viral pandemic...or zombie apocalypse. Food will be a big deal after any civilization collapse, and I think I’d want Tom Kerridge on my team to feed everyone. 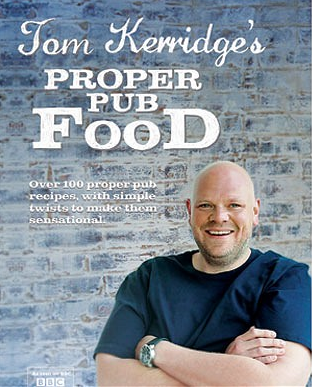 Tom is the only chef in Britain to gain two Michelin stars working on a pub, and ‘Tom Kerridge’s Proper Pub Food’ collects together his best recipes to recreate that authentic – but high quality – gastopub experience. If Dad likes to trash, (I mean, experiment in) the kitchen occasionally to wow the family, this book is packed with great ideas. Action-packed, fast-moving thrillers don’t come much more satisfying than ‘I Am Pilgrim’, the debut novel by legendary screenwriter Terry Hayes (whose writing credits include the Mad Max movies and Dead Calm). ‘Pilgrim’ is the codename of Scott Murdoch, adopted son of a wealthy American couple, and member of the above-top-secret ‘The Department’ – which polices the actions of other US spies. Having anonymously written the ultimate book on forensic examination, he may have unwittingly allowed ‘the perfect murder’ to take place – and the NYPD need his help to solve it. But soon there are bigger, world-threatening activities taking place as a terrorist, known only as ‘The Saracen’, plans a frighteningly plausible attack on the United States. If you like your techno-thrillers weighty (in every sense), fast-paced, densely plotted, and nerve-shreddingly plausible – this is the real deal. ‘One Summer’ by Bill Bryson was one of our favourite books of last year, and it’s just out in paperback. Bryson is an American writer that we Brits have adopted (and he us). 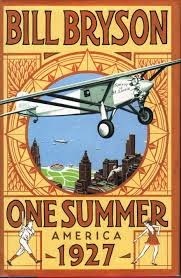 ‘One Summer’ is another fabulously entertaining adventure, this time examining his native America through the lens of the iconic Summer of 1927 when America truly stepped out of the shadows of ‘old Europe’ to take its place amongst the world’s great nations. It’s a heady concoction of the birth of talking pictures, a biblical flood, Henry Ford, Al Capone, Babe Ruth, Charles Lindbergh – and work starting on Mount Rushmore. All are given the Bryson treatment – it’s witty, energetic and full of surprises. In 1982, Simon Parkes (aged 23) paid £1 for a derelict building in Brixton, and over the next fifteen years turned it into Britain's most iconic music venue. Together with musician and author JS Rafaeli, he has written the definitive history of the venue in ‘Live At The Brixton Academy’. This was in last year’s collection, but John Le Carre’s latest book ‘A Delicate Truth’ is now out in paperback – and it’s a cracker. Operation Wildlife, a top-secret mission to the rock of Gibraltar, involving CIA, special forces, and a cast of spooks familiar to his regular readers goes horribly wrong. Three years later and one of the soldiers involved reveals that the government has buried the truth. Once the cat is out of the bag, the tempo and tone becomes progressively relentless and angry. This is a tale of service and loyalty alongside deception and cover-up. A classic Le Carre novel that has you longing for the truth to be declared. That's your twelve. But let's make it a round Baker's. Because if there is one book that captures the essence of a) being a Dad, b) thinking you have no time to read, c) the absurdities of modern working life, and d) the transformative, life-affirming and utterly amazing things that can happen when you rediscover reading, it is Andy Miller's heartwarming, irreverent and very funny memoir 'The Year of Reading Dangerously'. One Dad, fifty books, a life transformed. 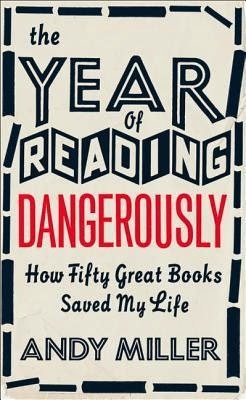 Books can change (and save) your life - Andy Miller has the proof! The booktrust tip is a good one - I've just been and had a look at the tips page - here it is.